“The heart wants to go on; that is its dharma, for unless it moves, it dies,” declared Rabindranath Tagore. “Now it is time to seek out the golden wand, to voyage out to faraway places.” Tagore’s passion for travel led him to 37 countries across five continents, and everywhere he went, he left the imprint of his unique legacy. Following the English Gitanjali (1912) and the Nobel Prize (1913), his international reputation soared. Over the years, he travelled extensively, delivering lectures, meeting celebrities and raising funds for his beloved Santiniketan. 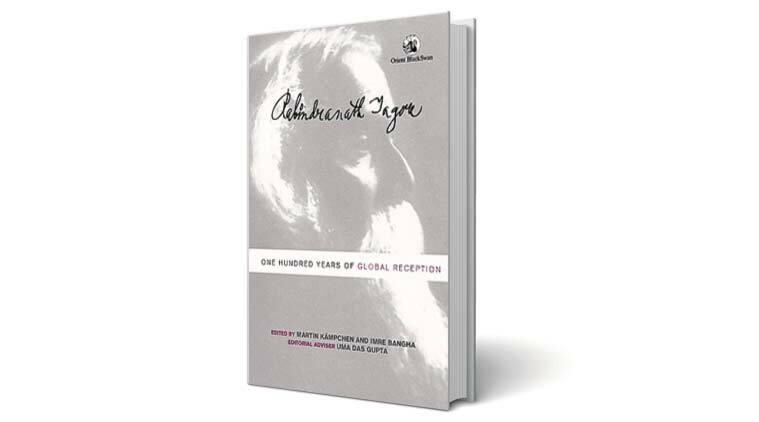 Rabindranath Tagore: One Hundred Years of Global Reception attempts to present a comprehensive account of the international reception of Tagore’s writings. The 35 essays in it, organised region-wise, offer a range of perspectives on the global impact of his writings. This is not the first critical anthology to address Tagore’s standing as a world literary figure. The Golden Book of Tagore, published on Tagore’s birthday in 1931, contains tributes and felicitations from world celebrities. Rabindranath Tagore: A Centenary Volume 1861-1961 includes essays by many intellectuals. Other books, such as Alex Aronson’s Rabindranath Tagore through Western Eyes, Sujit Mukherjee’s Passage to America, Rabindranath Tagore and the British Press edited by Kalyan Kundu and others and Tagore and China, edited by Tan Chung, focus on Tagore’s relationships with specific parts of the world. Tagore the Eternal Seeker: Footprints of a World Traveller, edited by Suryakanthi Tripathi and others, traces Tagore’s role as cultural mediator. To this list, the present volume is a welcome addition. “Tagore was many things to many people,” the editors declare in the Preface. They say that apart from his cultural legacy, Tagore’s social, political and educational thought also left a mark on the places he visited. His impact on visual and performance arts was also considerable. His plays were staged in diverse settings and his poems and songs set to music by composers from various traditions. People of different faiths claimed Tagore as their own, choosing to emphasise his Sufi affiliations, Buddhist affinities, or appreciation of Christian values. Single individuals often played a part in establishing Tagore’s reputation in certain places: for instance, Andre Gide in France, Jimenez in Spain and Victoria Ocampo in Argentina. Not everyone celebrated Tagore though. The essays in this volume show that his desire to bring “East” and “West” closer elicited uneven reactions. The Italian Fascists, eastern and central European Communists, and the Christian Churches, were less than warm in their response to Tagore. With the people of China and Japan, he had an ambivalent relationship. Tagore’s reputation also suffered frequent fluctuations on account of his controversial views on nationalism, changing literary fashions and poor translations of his work. At some historical moments, his works were deliberately sidelined in some countries — in Russia after 1917, Germany during World War II, and Spain under Franco’s regime. The collection presents some familiar names in international Tagore scholarship — such as editorial advisor Uma Das Gupta and contributors Tan Chung, Kalyan Kundu, Shyama Prasad Ganguly, Kathleen O’Connell, France Bhattacharya, Sergei Serebriany and Sawitree Charoenpong — but it also includes several others who deserve to be read more extensively. Tagore’s reception in some areas —Europe, America, China and Japan, for instance — is already well-documented, but in this book, one reads with surprise and delight about the Tagore connection in unexpected locations such as Tibet, Angola, Mozambique, Latvia and Costa Rica. Extensive though it is, the volume is not exhaustive. India, Pakistan and Bangladesh have been left out due to space constraint. Some other areas deserved attention, as the editors candidly acknowledge. These omissions cannot but skew the vision of the “world” presented here. Conceived as a reference volume, the book shows a strong element of uniformity in the structure and content of the contributions. Each essay presents the culture in question in terms of its relations with India, the impact of the Nobel Prize, and the tradition of Tagore translations there. In spite of this structural homogeneity, some unevenness of quality becomes inevitable in a collection of this nature. The scholarship that has gone into gathering a wealth of factual material is indeed formidable; but as with many other reference books on Tagore, one can’t help feeling that in the process, something vital has been lost. That something is the ineffable Tagore mystique, the living, breathing spirit of his work, so notoriously hard to quantify. In the painstaking attempt to reconstruct the image of a world icon, the “real” Tagore seems to have eluded us once again.